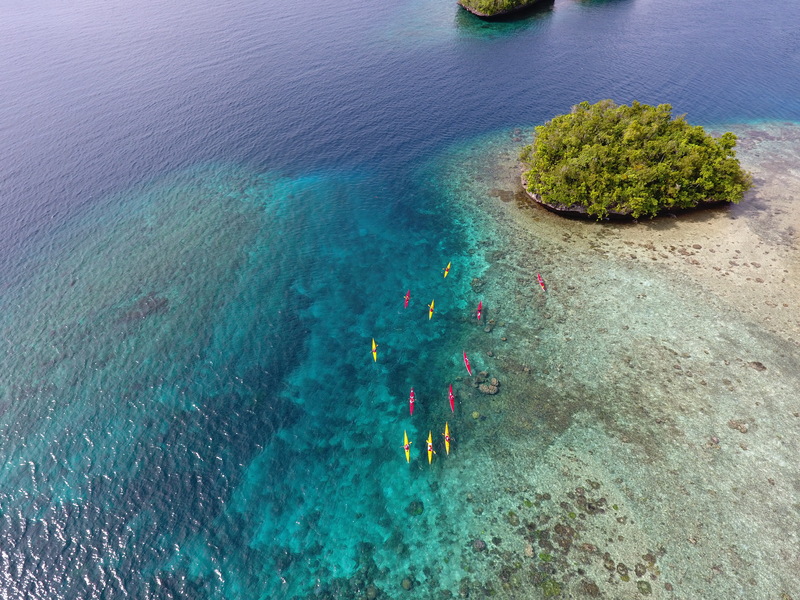 Kayakking through the Coral Triangle! 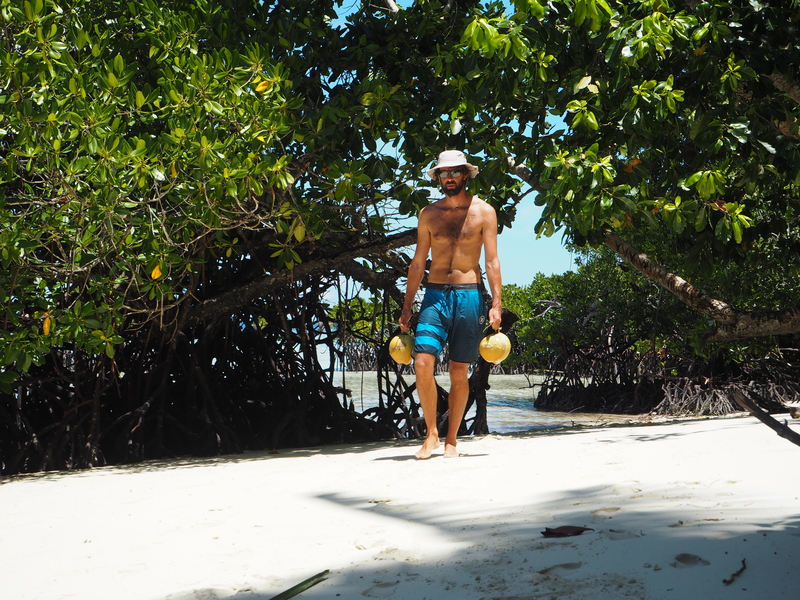 Join us for an adventure through on of the most coral rich area’s on the planet. At Papua New Guinea’s Isles of Raja Ampat. Raja Ampat is located in West Papua, an archipelago of 1500 small islands. The Raja Ampat archipelago is the part of the Coral Triangle which contains the richest marine biodiversity on earth. On one square kilometer you will find more coral and fish species than in the whole Atlantic ocean together. 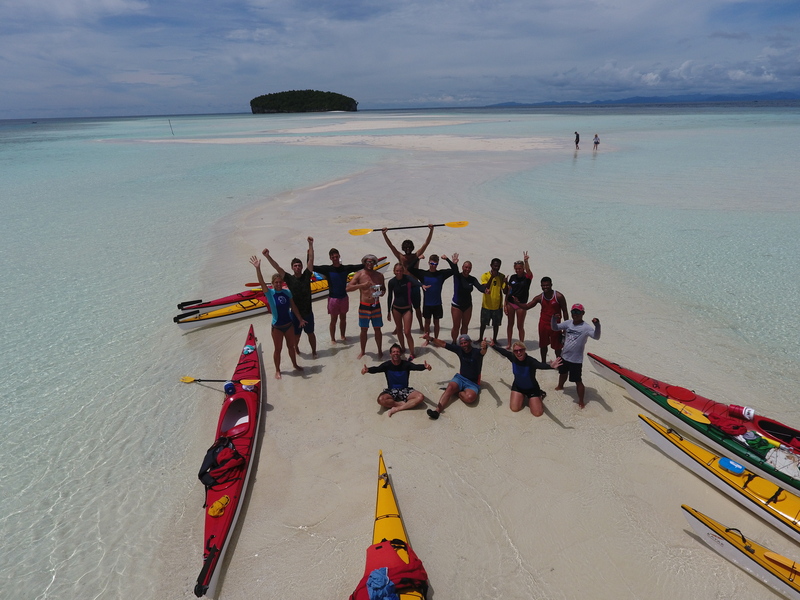 We will explore this unspoiled wild place by kayaks, and pass through mangrove forests, mushroom limestone islands, sandbanks, coral gardens and enjoy beautiful beaches for a break and a fresh coconut. you’ll encounter all kinds of wildlife like, reef sharks, turtles, beautiful fishes and there is an 88% chance to find huge manta rays. During the expedition you will stay with local families. The Papuans are people that always smile, live in close relation with nature and they will love to show you their traditions and way of life. 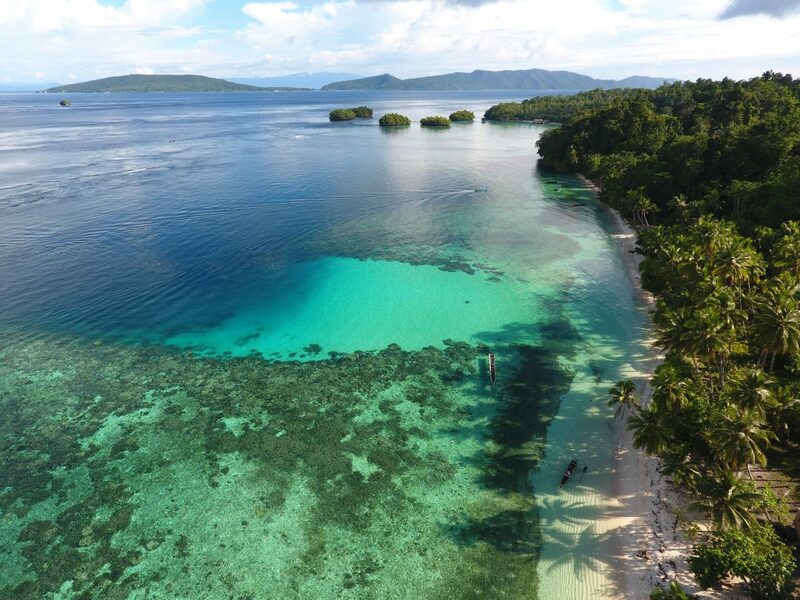 By booking this expedition you’ll gain a once in a lifetime experience and help protect the natural wonders and local communities of Raja Ampat. Raja Ampat’s isles are the most biodiverse rich waters on our planet. You’ll encounter more fish and coral spices then anywhere else. 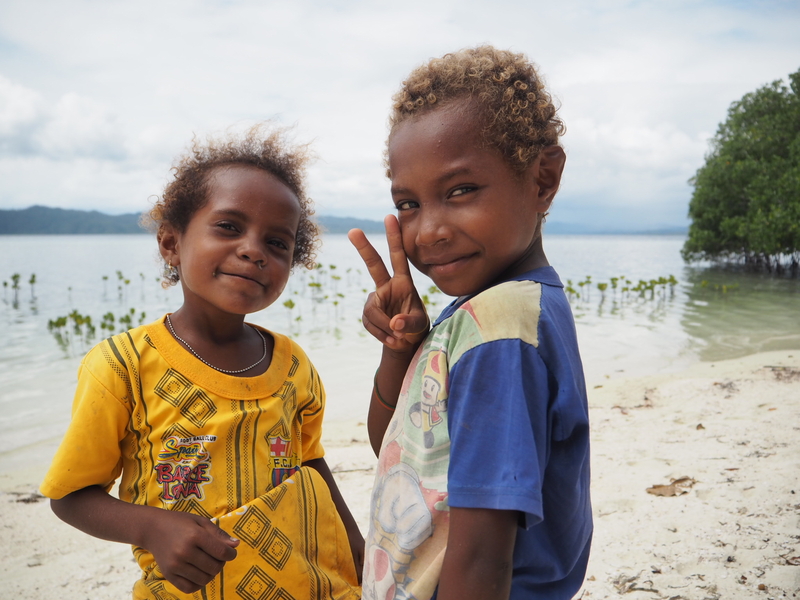 The people of Raja Ampat will greet you with a smile and love to show you their way of life. 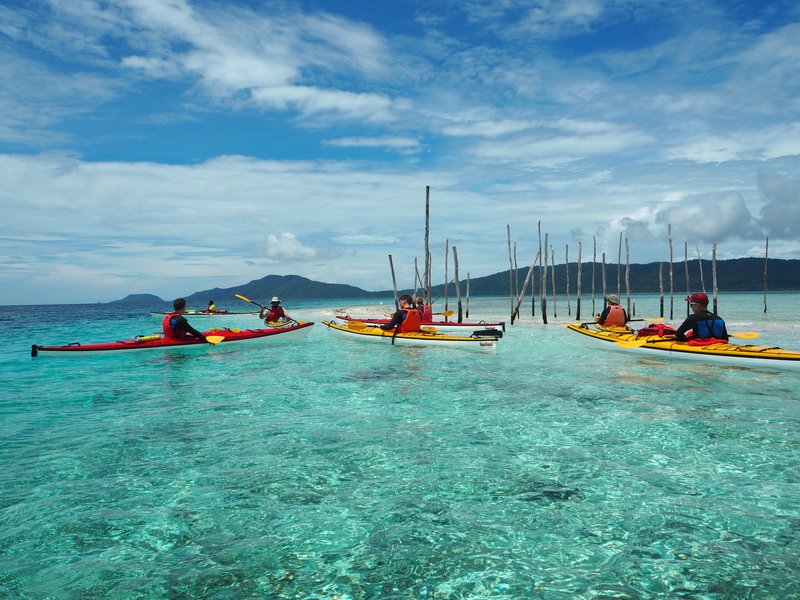 Our seven-day expedition is one of the most beautiful and colorful sea kayak destination in the world. 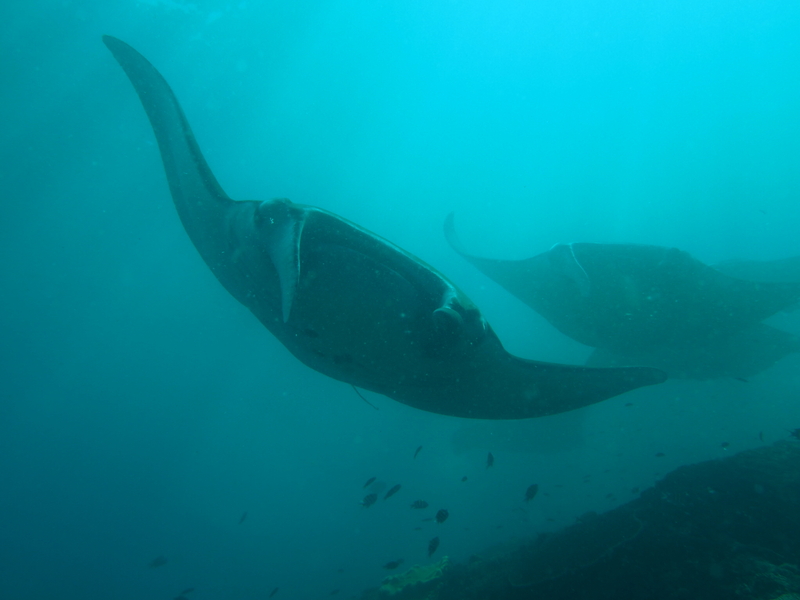 Encounter many different animals like, reef sharks, manta-ray’s, turtles and dolphins. Cook your own food on a campfire! Be part of a local family and gain many stories to tell!